Buying your first car can be a daunting experience, on the other hand many brazen teenagers are more than willing to rush in and buy the first car they see as long as its within their (or their parents) budget. Obviously the choice is yours, and ultimately it should be a car you feel comfortable with that is in line with your driving experience. But as food for thought, here are 2 cars which are very suitable for first time buyers. 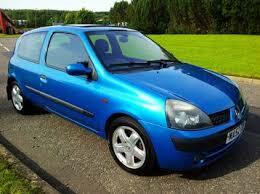 The Renault Clio is a classic first car and it has been for years. I remember being back at school and seeing a car park full of them (usually a 2003 model). They are pretty small which is usually a good thing for new drivers and it is one of Renault’s longest serving cars due to it being affordable to run and pretty nice to drive. The newer models will probably be outside your budget if you are still young, but if you go back to the 2003 model year, you can buy a second hand Renault Clio for around the £1,500 mark. 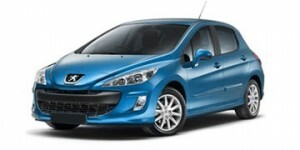 The Peugeot 308 isn’t as common for a first car but it would still make for a good choice. The 308 is another hatchback which has enough space for a small family which is pretty nice to drive. It also has a good safety rating. The 308 is a little more expensive than the Clio so it might not be as appealing if you are young and not in full time work. A second hand Peugeot 308 will cost you around the £5000 mark.